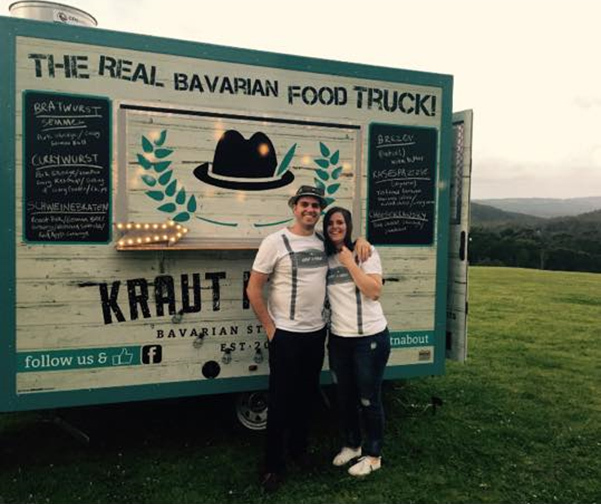 German born Christina and her partner Dan weighed up the big question – they thought they could either get married or they could fulfil their other dream and buy themselves a food van. You can guess which one won out. 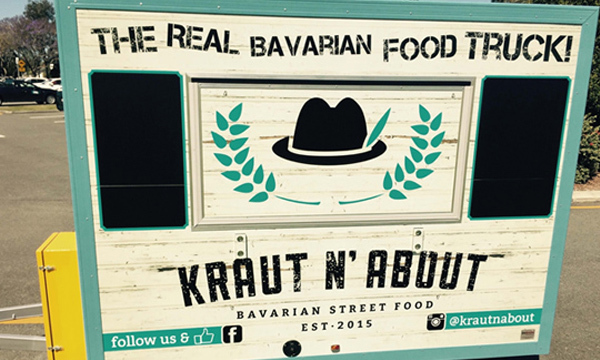 Christina and Dan are both cabin crew for a major airline and decided they wanted a food van not just for the money and the freedom that having a food van brings, but for the fun of it. 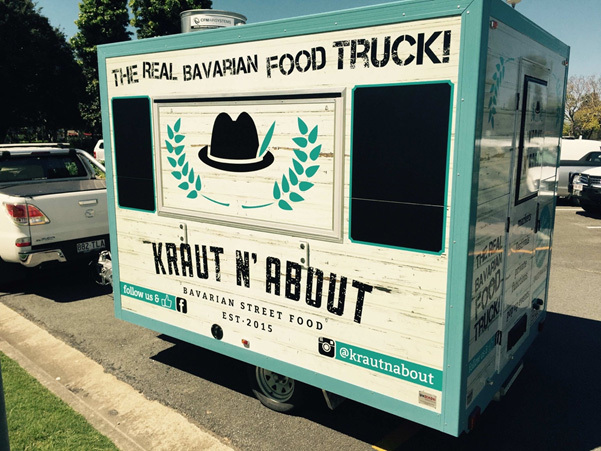 Having a food van and being able to pick and choose when and where they would operate, they are able to juggle both their day jobs and their food van whenever it suits their busy schedule. 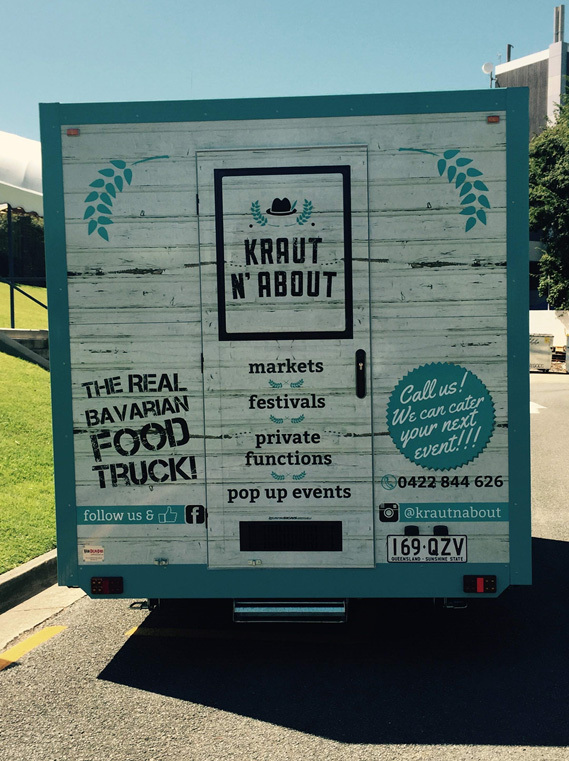 Bringing traditional Bavarian food to the streets of Brisbane via their 3m x 2.2m custom built food van, Kraut n’ About is offering German sausages and other tasty Bavarian delights to hungry hoards of people at markets, festivals, private functions and pop up events. Christina and Dan came to us in a quandary. They had promised to cater for a friend’s upcoming wedding but had very little time to get it built before the big day. The Van Demons team kicked into action and assured that their van was complete well in advance of their deadline. According to Christina and Dan the big day went off without a hitch and they are now looking forward to catering many more big events. And one day getting married themselves. Since day one of walking through the door, the Van Demons team instilled confidence in us with their professionalism and professional workmanship. The minute we explained our situation and that we had a time frame, the answer was simply don't worry we can do it!! From that moment on we let the team at Van Demon Vans take the reigns and let it flow. 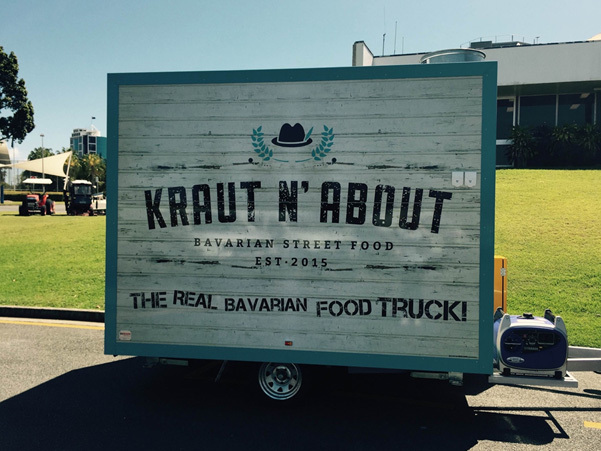 Obviously from that point it was no surprise when we received the van before our deadline. We can not thank the team enough for their hard work and effort they have put into making our piece of paper idea, a working piece of art!! 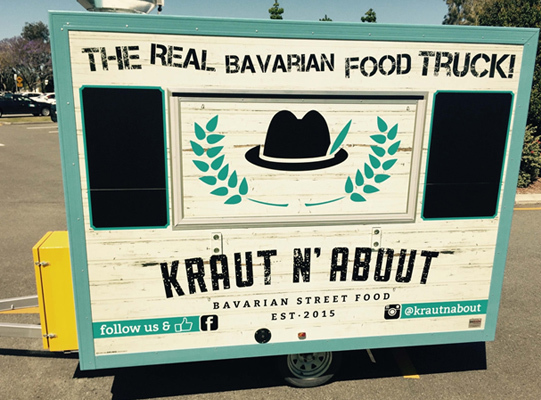 Check out their upcoming locations via their Facebook page.